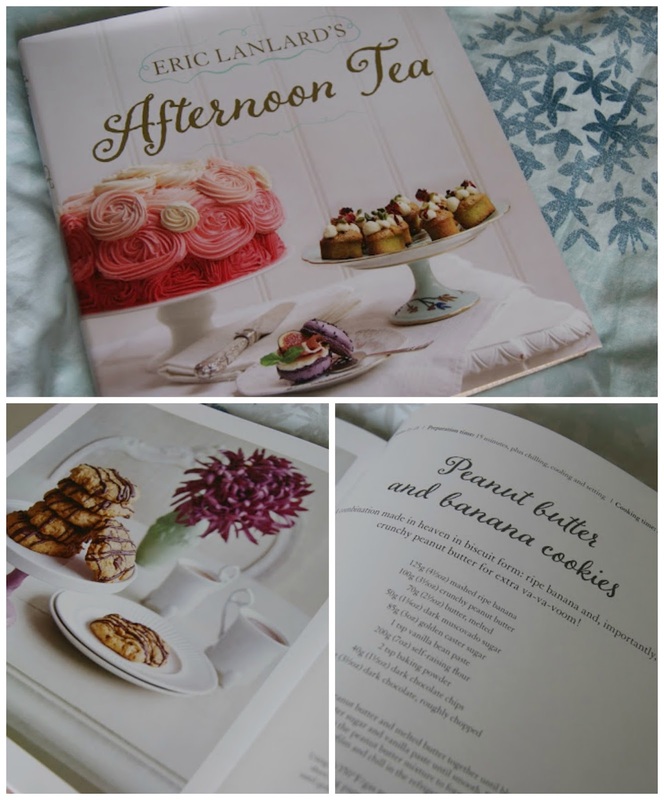 I was recently offered a copy of Eric Lanlard's Afternoon Tea to review and I jumped at the chance. I own a lot of recipe books but very few that are baking focused. This one is beautiful and full of delicious recipes. It's not necessarily a book for complete beginners (I wouldn't know where to start with making tuna and pumpernickel mille feuille for instance!) but there are some interesting twists on classic recipes- I can't wait to try the savoury macarons! 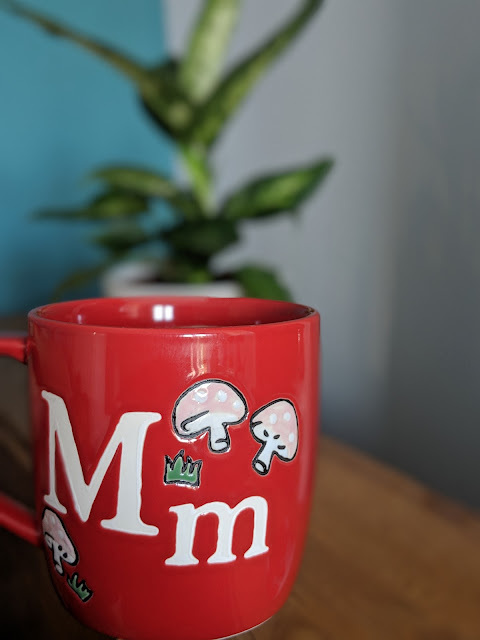 I did find it difficult to choose which recipe to try first but I decided to be nice and bake something for Mark for a change! I'm not normally a fan of banana in bakes but these cookies were absolutely divine. I ate 2 when they were fresh out of the oven and spent the next few days working my way through the rest. In a bowl, mix the banana, peanut butter and melted butter together until blended. This does not look very appealing but it smelt delicious! Stir in the muscovado sugar, caster sugar and vanilla paste until smooth. Sift the flour and baking powder then fold into the peanut butter mixture to form a dough. Cover with clingfilm and chill in the fridge for at least an hour. Preheat the oven to 180°C (fan 160°C/350°F/ gas mark 4). Line a baking sheet with baking paper. Using a dessertspoon, scoop out spoonfuls of the dough and place on the baking sheet. Flatten each with the palm of your hand. Bake in the oven for 10-12 minutes until golden and slightly risen. Leave to cool on the baking sheet for 5 minutes and then transfer to a wire rack to cool completely. Melt the chocolate in a heatproof bowl set over a saucepan of (barely) simmering water, making sure that the surface of the water does not touch the bowl. Drizzle the cooled cookies with the melted chocolate and leave to set on the baking paper. P.S. This book was sent to me for review but I bought all the ingredients to test this recipe myself. Oh Maria, you TEASE! These look incredible. wow these sound awesome. Thanks so much for this recipe. can't wait to make these.